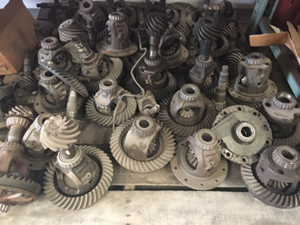 We offer custom Differential rebuilds both in and out of the vehicle. We tear down your differential, put gears, bearings, ring & pinion, internals (spider gears) and carriers (pumpkin) through the parts washer. 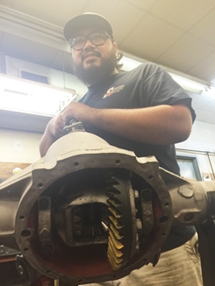 We then look over each part carefully so that we are able to give you the best deal on rebuilding your differential. 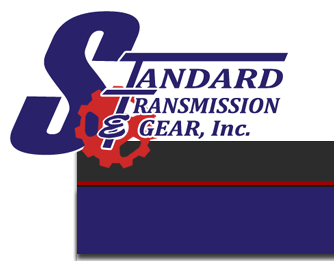 Standard Transmission & Gear is a stocking wholesale dealer for Motive Gear, Timken, DT Components, Dana, AAM, Yukon, Mopar , Eaton, O.E.M Ford, Dodge, Chevrolet. Our rebuild kits have genuine Timken bearings when available. 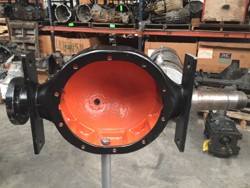 If the original manufacturer is not Timken, the kit will come with the original manufacturer bearing. 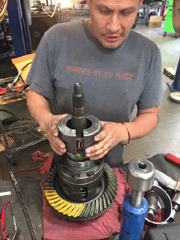 Not only is Standard Transmission & Gear, Inc. the best place to bring your vehicle in for differential, manual transmission or transfer case repair we have an in house machine shop. 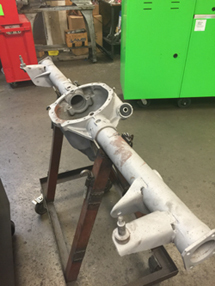 This allows us to do the modifications needed for added convenience on spindle repair on banjo housings, shorten axle tubes (narrow housing) we also offer axle shaft repairs. In house axle shaft repair too. Toyota Landcruiser Chrysler 9.25" front Dana 60 Ford 10.25" GM 8"
We guarantee our work at Standard Transmission & Gear, Inc. (STAG). We want every customer to be completely satisfied with the work that we do. The information that follows defines our differential warranty policies and the responsibilities of the customer after our work is done. For products assembled by us, STAG warrants the original retail purchaser that these products will be free from defects in material and workmanship for one (1) year or 12,000 miles for parts and ninety (90) days for labor following the date of sale. 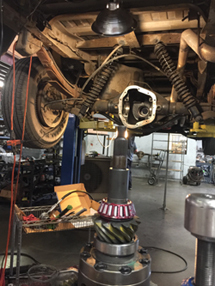 Conditions that are warranted: seal leakage, bearing wear, ring & pinion noise and workmanship are warranted for six (6) months, for passage cars and two (2) wheel drive trucks. Four (4) wheel drive trucks, motor homes, and any vehicles used for towing will have a ninety (90) day warranty. All new parts are warranted by their respective manufacturer, not by STAG. While most parts sold by STAG are warranted for one year/12,000 miles, some manufacturers may have a limited warranty or no warranty at all. Manufacturers do not warranty collateral damage to other parts caused by a failure in a part they have manufactured. For warranty information on a specific product, please contact the manufacturer directly. STAG will not be responsible for informing the customer of manufacturer’s warranty policies. Used parts are warranted by STAG for thirty (30) days. Vehicles or differentials submitted for warranty consideration must be returned to STAG freight or towing pre-paid for our inspection and determination. Our determination will be final. 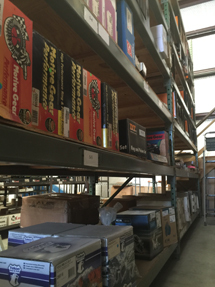 Customer supplied parts or the labor to install customer supplied parts. 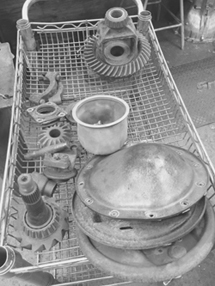 Damage due to overloading, abuse or lubrication failure (i.e. low oil levels, contaminated oil). Damage caused by vehicles that are used of competition or off road. Incidental or consequential damages such as loss of time or revenue, perishable goods, telephone calls, inconvenience, or commercial loss are not covered. Damage due to overloading caused by oversized tires. Oversized tires are defined as over 31” tall on mini and midsized vehicles; over 33” tall on full size 1/2 ton vehicles; and over 35” tall on full size 3/4 and 1 tone vehicles. All wheel drive vehicles with tires that do not match. Damage caused to internal parts due to bent or damaged housings. 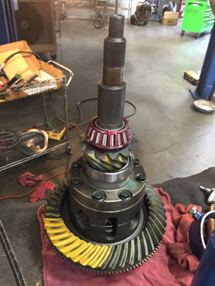 Ring and pinion noise is warranted unless the customer is notified in advance to the contrary. Normal noise from posi-traction chatter or from locking differentials. Any work performed by anyone other than STAG that affects the scope of work done by STAG will void warranty. 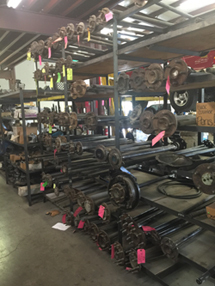 We have a large inventory of used differential parts. 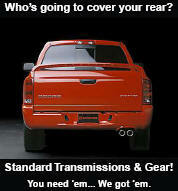 Contact us for the parts you need !! We stock new ring & pinion sets for most popular domestic cars and light duty trucks, as well as differential bearing kits kits ranging from basic kits to master rebuild kits.